Billionaire Paul Allen, who founded US software giant Microsoft with Bill Gates has died after his battle with cancer. Allen, a tech billionaire, who was a philanthropist and the owner of the Seattle Seahawks and the Portland Trail Blazers was first diagnosed with cancer in 2009. He died on Monday, just two weeks after publicly revealing that non-Hodgkin's lymphoma he fought into remission nine years ago had returned. "My brother was a remarkable individual on every level. 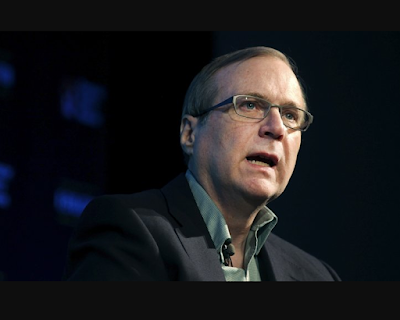 While most knew Paul Allen as a technologist and philanthropist, for us he was a much loved brother and uncle, and an exceptional friend," Allen's sister Jody said in a statement. "Paul's family and friends were blessed to experience his wit, warmth, his generosity and deep concern... At this time of loss and grief for us -- and so many others -- we are profoundly grateful for the care and concern he demonstrated every day."